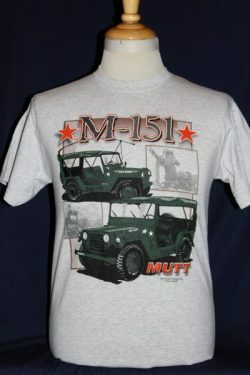 The US M-151 Mutt T-shirt is a single sided print in grey. Front Design Only: Two views of the MUTT Jeep superimposed over greyed out action photos. 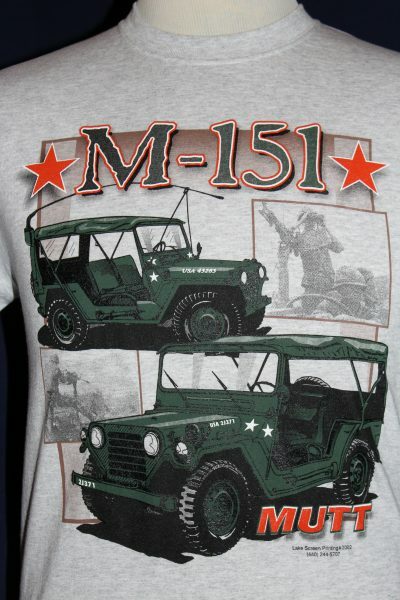 Screened in multiple colors with text.